Polling for 59 of the 60 Assembly seats was held in the north-eastern state on February 27. Former chief minister and NDDP president Neiphiu Rio has been declared elected uncontested from Northern Angami II seat. 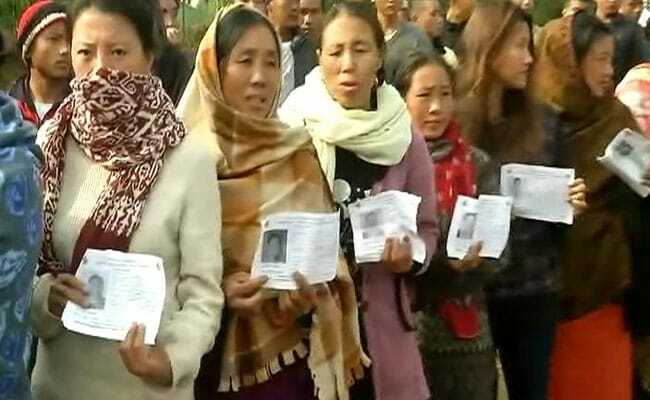 Around 73 per cent voter turnout was reported in the re-polling at 13 polling stations across nine constituencies in Nagaland today, an election department official said. "Altogether 5728 voters out of the 7841 exercised their franchise in the 13 polling stations. That means 73.05 per cent votes were polled," CEO Nagaland Abhijit Sinha said today. The voting passed off peacefully, he said. The nine constituencies where re-polling were held were Tamlu, Peren, Kohima Town, Chizami, Phek, Meluri, Tizit, Pungro-Kiphire and Llongkhim-Chare. Mr Sinha said polling could not be held in one booth in Tamlu constituency on February 27 due to the alleged intervention of the Assam Police with claims that the booth falls under Disturbed Area Belt between Assam and Nagaland. It was held today at an alternative temporary structure following the direction of the Election Commission, the CEO said. Re-polling was ordered in the other booths following reports of snatching of EVMs, misuse of electoral photo identity cards and miscreants not allowing voters to exercise their franchise. Counting will be held tomorrow for all the 59 constituencies.